Thanks to David Bovee’s new book about the illustrious history of the National Catholic Rural Life Conference, The Church & the Land, one of the luminaries who helped shape the rural church in America once again resurfaces: Msgr. Luigi Ligutti. 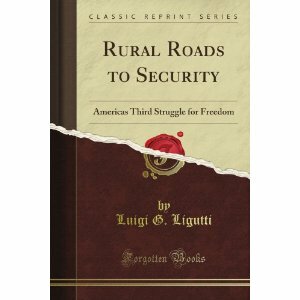 His classic book Rural Roads to Security, published in 1940 [and reissued this year] , thoroughly documents the dramatic effects of modern capitalism on Depression-era rural communities. 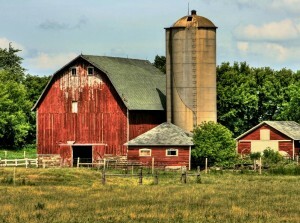 With painstaking detail Rural Roads describes how modern capitalism devastated the agricultural foundations of our country and how advocating the re-population of rural towns will help us regain independence for the family from the rising servility of dispossession. Richard Aleman is the president of The Society for Distributism, a contributing editor for Gilbert Magazine, and he blogs at St. Austin Review‘s Ink Desk. A native Spaniard, Richard resides in New York where he is currently working on a Distributist anthology of G.K. Chesterton’s newspaper, G.K.’s Weekly.